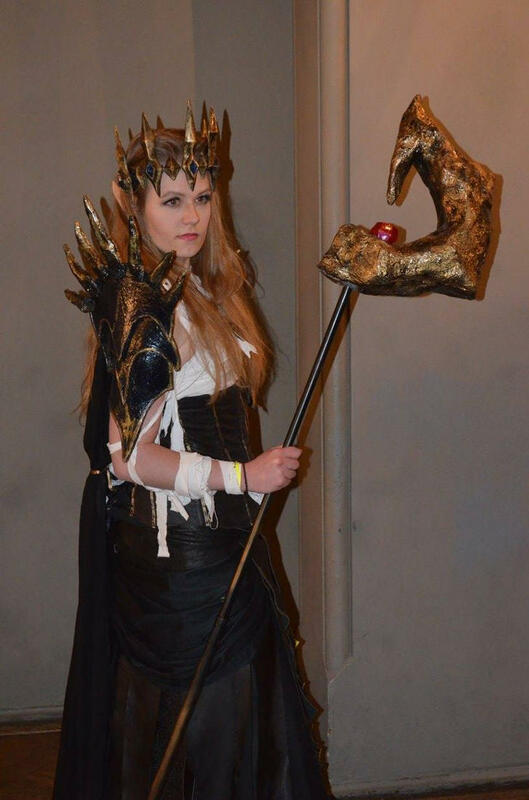 My name is Alsy ( at least in the cosplay world) and a few months ago I decided to cosplay Valindra. The alive version. I've been an avid Neverwinter player since it came out ( it think I was in beta too) - lately spend most of my time doing dragon runs with guildmates, but I pvp as well (in-game you can find me as [email protected] Moonshadow or /@Ciri ). This will be my second cosplay ever (first one was Lightning from FF13) and first time working with LEDs, sewing a corset and casting gems. So far it's going good I think. Constructive criticism is appreciated. Also, if you happen to know how long Valindra's cape is, let me know in the comments - becasu there are no pictures of her from the back and in the game you can't really tell. 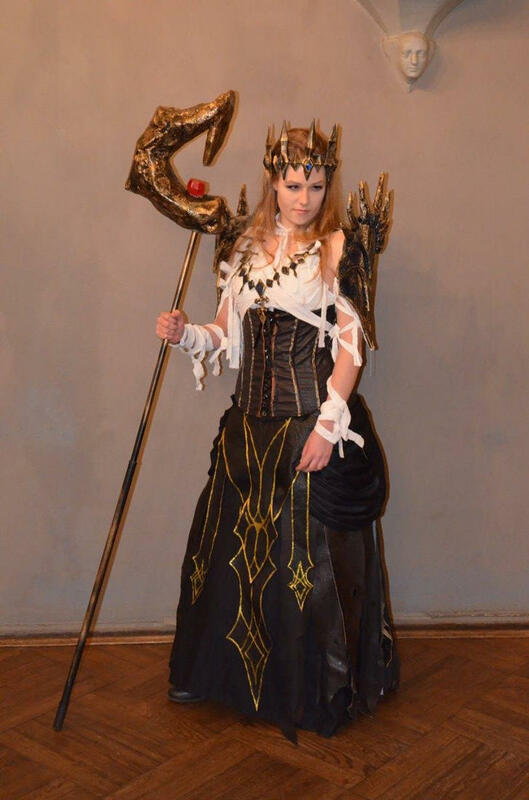 The staff, necklace, crown and pauldrons were the most work, yes. Not hard, but time-consuming.Had to cast every single gem, make all the parts exactly the same... it takes a lot of patience and some precision. The staff's base is expanding foam with loads of layers of paper mache, the crown is clay ( heavy as hell ) and shoulder-things are made out of a yoga mat. 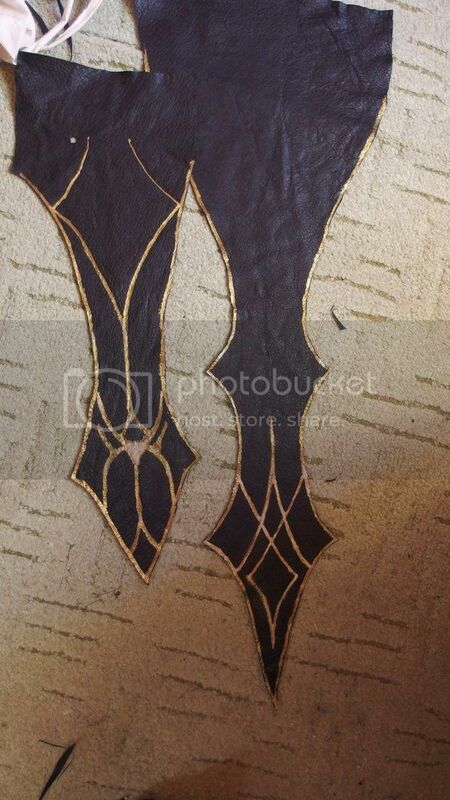 I can 't afford worbla and it isn't available where I live so I have to use what I can find. The staff's gem lights up too ( was my first time working with casting gems and wiring electronics). Another part that was time consuming was the skirt - 30+ seperate leather strips, all had to be cut and burned along the edges, also really heavy to walk around for 10 hours. And then, of course, the corset. 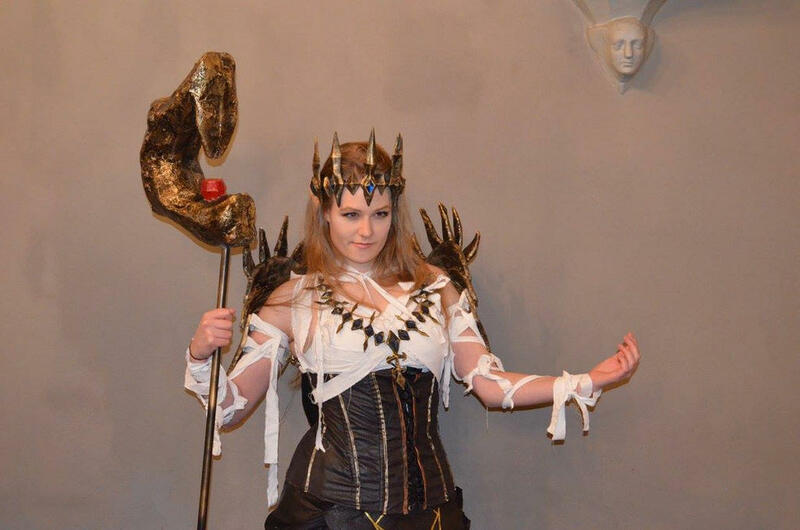 It's the first corset I ever made so I guess it turned out pretty ok.
That is impressive! Well done! I wish I had the patience and the skills to make something like that.